How do you increase space in a city without expanding into the apartment next door? According to architects Anna and Eugeni Bach, if you can't build out, then set loftier goals. 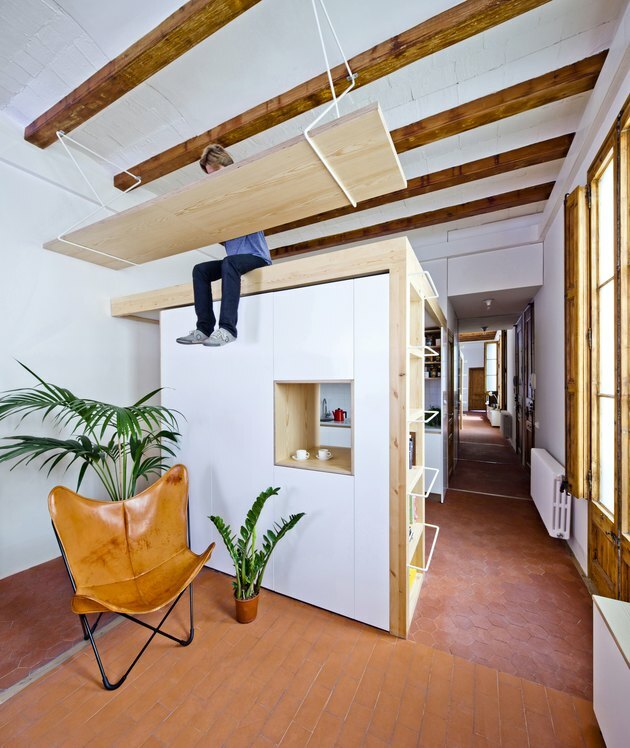 So when renovating a 750-square-foot apartment in Barcelona's Eixample neighborhood, they decided to take advantage of the home's high ceilings. The new kitchen includes a loft space that can be used as a guest room or study and incorporates a suspended desk. And the floor of the master bathroom was raised to make room for storage. The finished apartment — now a bright and open home — is a creative reminder to think beyond your floor space. The architects respected the original architecture and kept the period details intact. "We tried to strengthen the possibilities of what existed, and only add those few elements that were really needed," says Eugeni Bach. They custom-designed the movable tables and drawers in the living room. The kitchen sits within the large, open living space and includes a small portal connecting the two areas. The top of the kitchen serves as a bench for the study's suspended desk, which is outfitted with lighting and outlets. A ladder to the loft is built into the wall of the kitchen. Hexagonal ceramic tile flooring was used throughout the home. 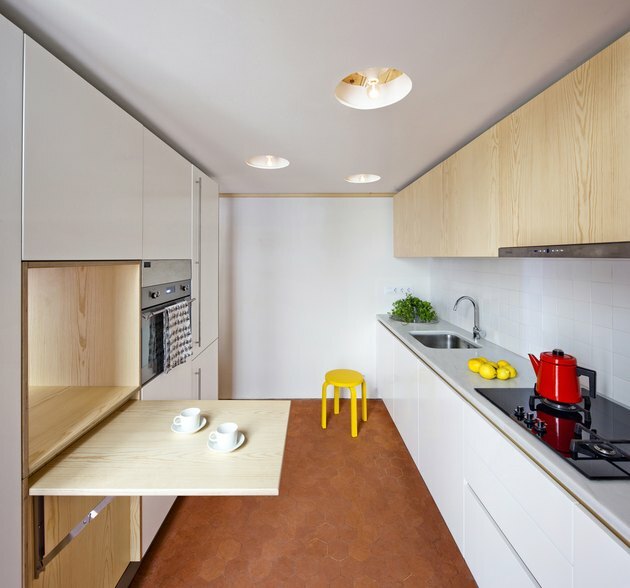 The architects kept the kitchen minimal, mixing sleek white surfaces and light wood. A table folds away when not in use. A bright yellow Alvar Aalto stool adds a burst of color to a bedroom. 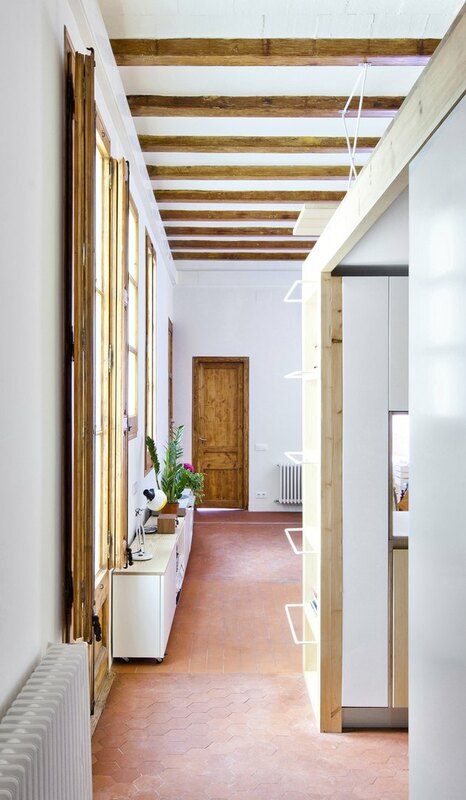 The architects kept the walls of the apartment white to let the furniture and decor stand out. 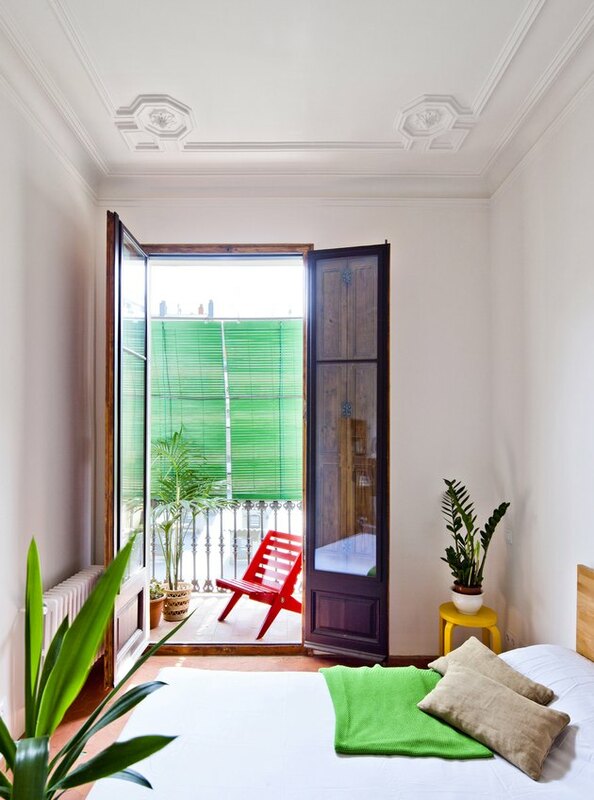 A balcony runs across the facade and can be accessed from the bedrooms. 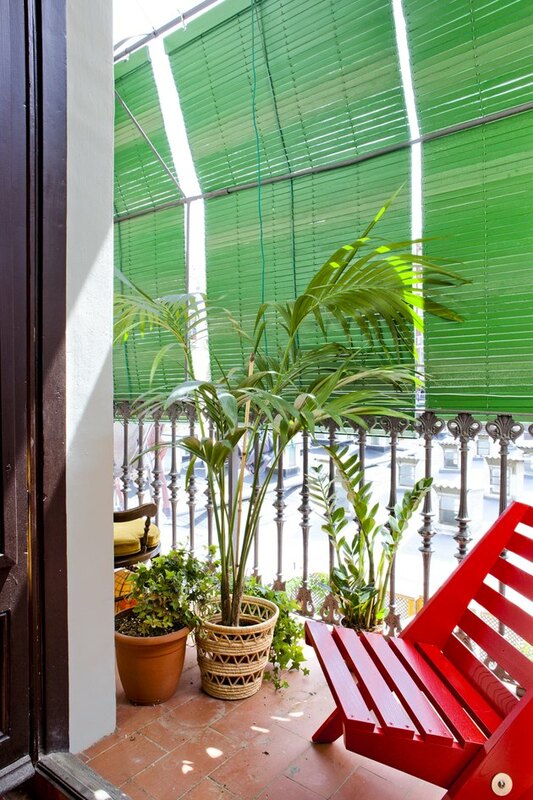 Chairs, potted plants, and green shades complete the small, verdant oasis. 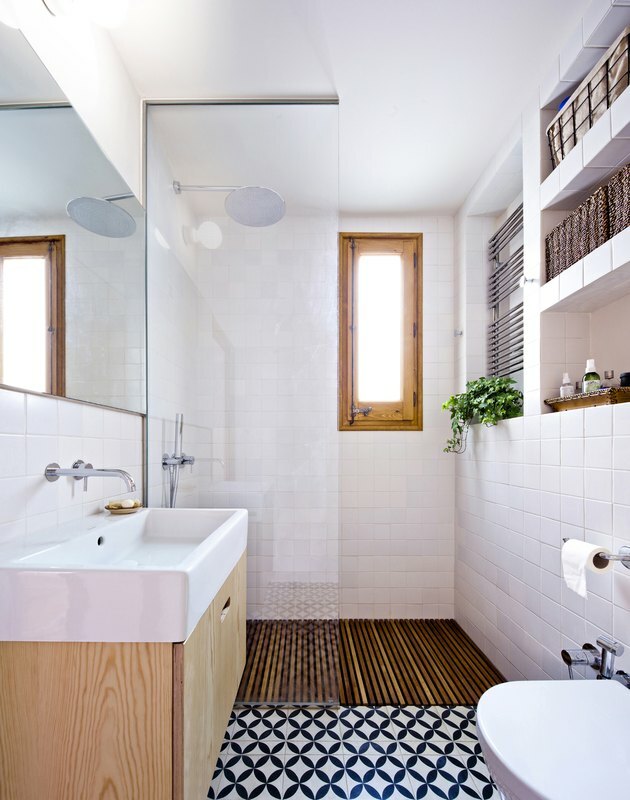 The bathtub is concealed beneath the slatted floor in the shower and wall alcoves provide storage without taking up floor space.